COLONSAY: A male Green-winged Teal at Ardskenish (per Alan Davis)…perhaps same as birds from 28 Apr on Oronsay? KINTYRE: very quiet here at Machrihanish SBO; a Whimbrel, 6 Sandwich Tern, a ‘Greenland’ Wheatear and 2 Linnets with no White Wagtails for 6 days now (Eddie Maguire). 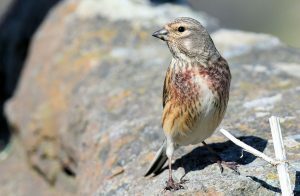 MID-ARGYLL: A Moorhen again today on the marshes beyond Ulva Lagoons; an Osprey over Loch na Cille; 42 Dunlin with 14 Ringed Plover, a Skylark and a Whitethroat at Danna. On Fri 4th May we saw a Golden Eagle early in the morning in our garden at Tayvallich presumably after a dead deer in the wilder part of the garden. Quite a surprise! (Morag & Norman Rea). 50+ Siskins coming to feeders at Carsaig House on 3 May and 20+ Lesser Redpolls at the Moine Mhor conifer woods on 6 May (Jon Close). TIREE: 1 Wood Warbler at Carnan Mor. 1 House Martin at Loch a’ Phuill (first of season) in with 35 Sand Martin – also 340 Ringed Plover on the machair there (John Bowler). 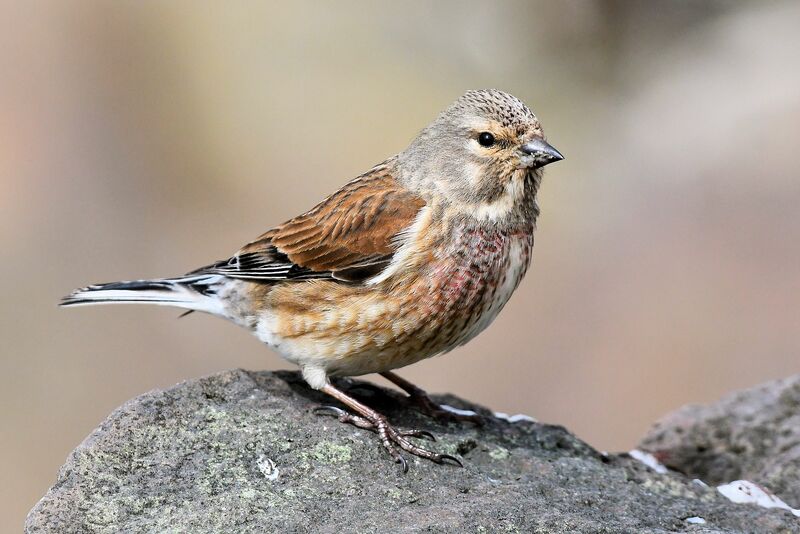 LINNET – MSBO, Kintyre 6th May (Eddie Maguire).